Friends, we very much want to buy a truck. Or a bus. Maybe an RV. Something which might make a great project to get our hands dirty with, converting it into a thing of beauty. 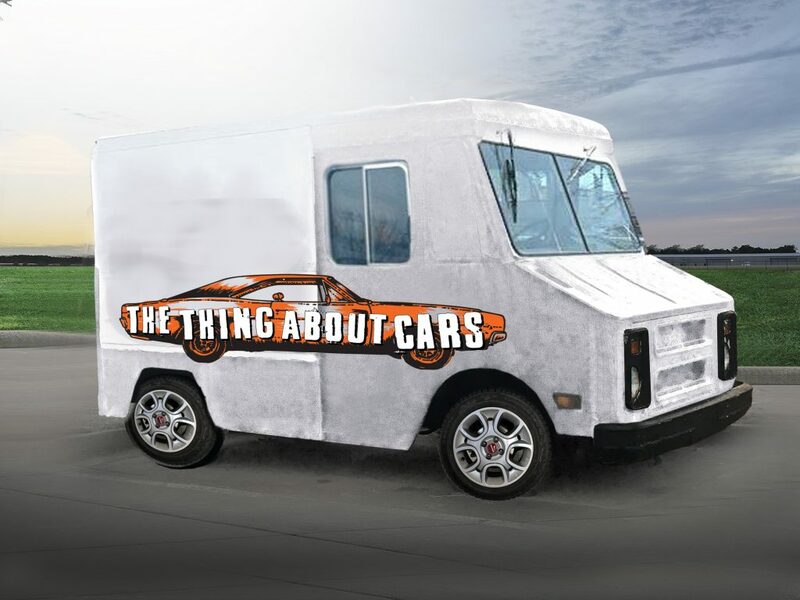 Join us in imagining: “Mobile Podcasting Studio.” If we raise enough cash, we’ll rehab the thing, outfit it with the right gear (including shag carpet), and turn it into a mobile recording studio that we’ll drive to car shows and other events throughout the region. Make a recurring gift through our Patreon. Or make a one-time gift through our Tip Jar. We thank you for being a part of The Thing About Cars’ family. Your suggestions and comments help us improve the show, and we are always grateful for your support. Thank you. Yes, we’re geeks. 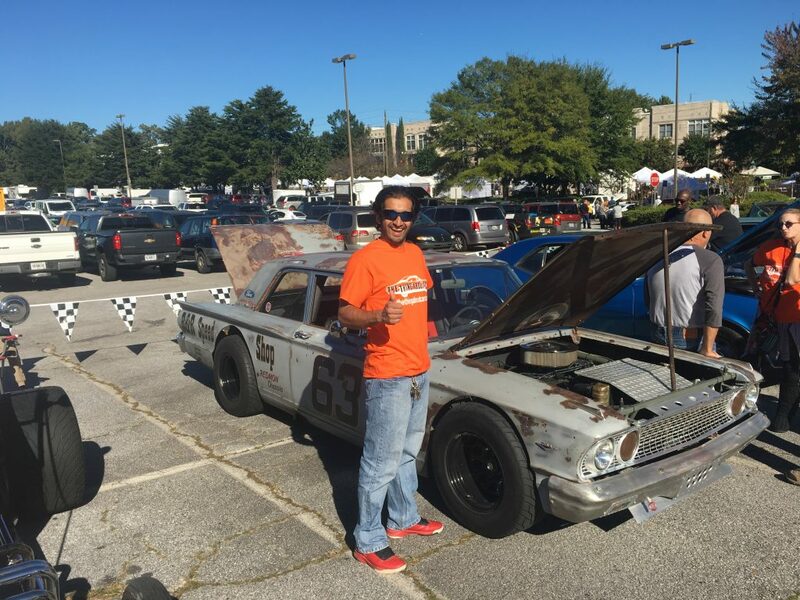 We managed to see a few very cool motoring-related displays at the recent AnachroCon here in Atlanta. Bone stock. I kinda want to install a Mr. Fusion. Friends, we have a couple of car shows on our calendar, and we hope you’ll join us at each event. We might even be recording an episode or two on-site. Italian Car Day Atlanta is set for Saturday, March 2nd, 2019, 10AM to 3PM at Lillian Webb Park, Norcross, GA. The show invites all Italian brands of cars, motorcycles & Italian scooters. Concours, classic or daily driver, your Italian car is welcome! French cars are also invited to join in the fun! On March 30 we’re planning to go to the Brookhaven Cherry Blossom Festival for their C5 Car Show. There is no cost to register a car, and space is limited, so if you’re going to register a car, it’s highly recommended you pre-register. See their website for more information. Awards will be presented for Best of Show, and First through Third places by popular vote. 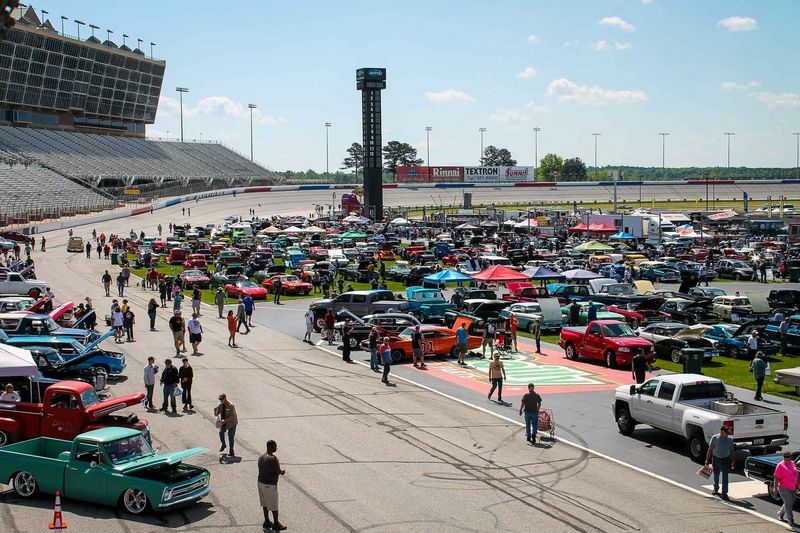 Summit Racing Equipment Atlanta Motorama is set for Saturday April 27 to Sunday April 28 at Atlanta Motor Speedway. We’re looking forward to the swap-meet, all the vendors, and (of course) all the cool cars to see. Will you be showing your car? Pre-registration for Motorama closes on March 25th. Before March 25, registration is $35 per vehicle. After the 25th, registration jumps to $50. We’re looking forward to seeing you there. Keep your eyes and ears peeled for more information about our visit to Motorama. If you know of a car show we should check out, please do drop us a line and tell us all about it. See you soon!